Come one, come all – a tour for the big and small! We welcome tour groups between 10 and 40 people. Our tour schedule follows the basic school year, Labor Day until summer break in June. Tours must be scheduled well in advance. If you would like to schedule a Portland tour to see how we do everything, please give us a ring (we suggest the first two weeks in September because dates fill up fast). 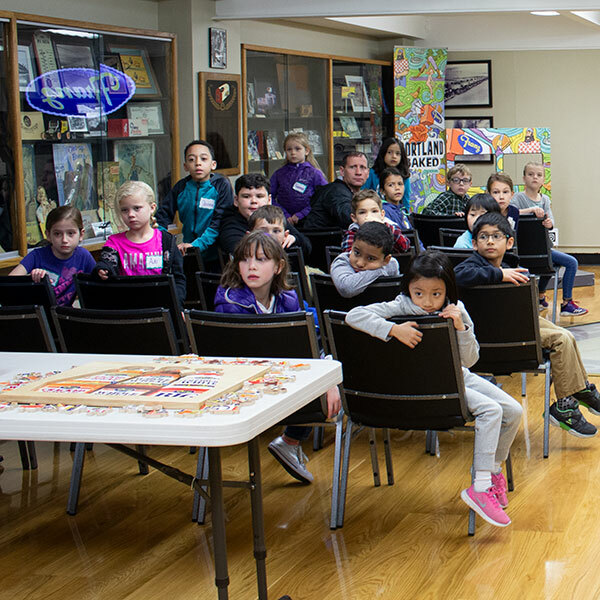 Classroom presentations are also offered to schools in the greater Portland Metropolitan area for kindergarten through twelfth grade. This presentation lasts approximately half an hour and covers the history of our bakeries, wheat production and commercial bread production. Our Franz representative shares our own version of the “How It’s Made Bakery” and bread dough for handling. A snack of bread and butter along with some surprises to take home are also included with this presentation. 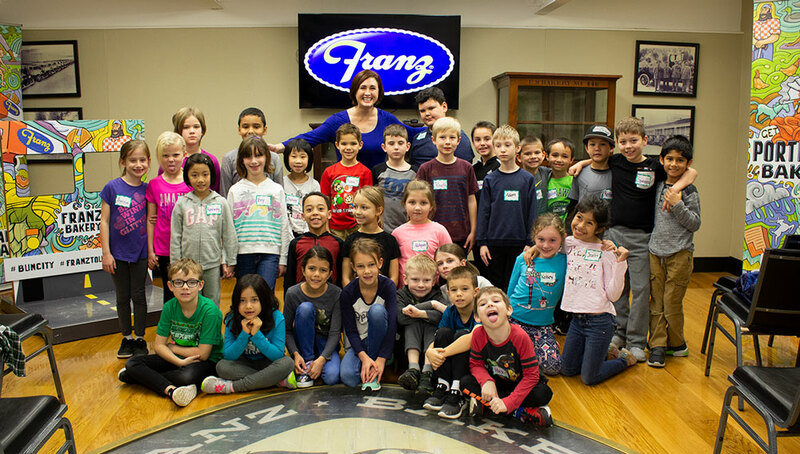 Our tour consists of a brief history of the Franz Family Bakeries and a half hour tour of our facility. Participants then enjoy a snack of bread, butter and apple juice and every guest receives something special to take home. For elementary school tours we have interactive learning centers for the children, books to read and mind teaser work sheets. Children must be seven years of age or older to take the tour per standard policy. FDA regulations requirements include for your safety: No jewelry permitted except for a plain wedding band (no diamonds). We ask that you wear closed toe, non-skid shoes such as tennis shoes plus a dress code that all guests must follow. No tour official until it has been confirmed.